An unprecedented number of objections have been raised over plans to turn part of a beloved Exeter park into a turning point for cars to access a new housing development. 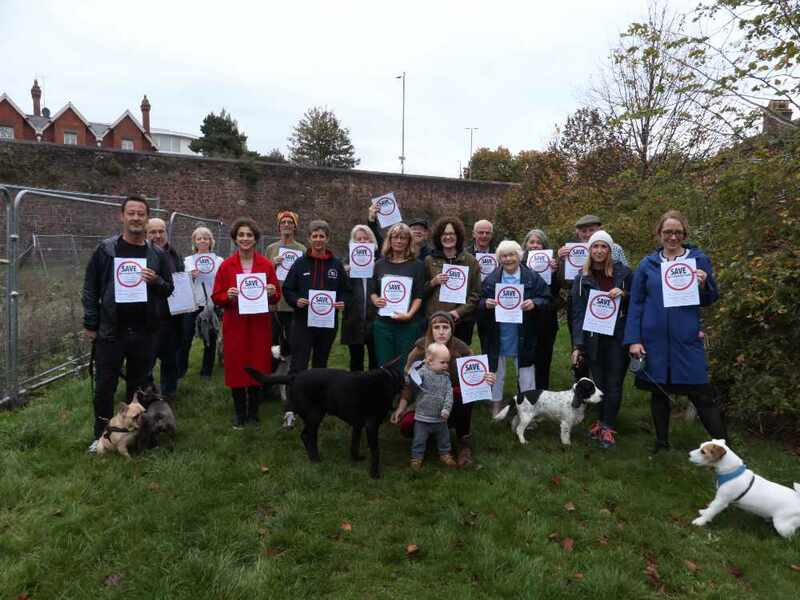 All but one of the 207 comments received after Exeter City Council announced they were considering disposing of the freehold of the 130 square metres of land at Bull Meadow Park were opposed to the plans, while a petition of 327 signatures against the scheme was handed-in to the council. Residents living near Bull Meadow Park say they cherish the park, which is blessed with a magnificent array of ancient trees, a separate play area for very young children and a wide-open space for a variety of park users and the children to play sport. But as part of Exeter Homes Trust’s £9m redevelopment plans of the Fairpark Almshouses, at the bottom of Magdalen Road and overlooking Bull Meadow Park, a small section of the park was proposed to be concreted over. Exeter City Council’s Place Scrutiny Committee voted overwhelmingly not to support any recommendation that the council should dispose of the land. The final decision over whether to dispose of the land will be made by the city council’s executive at their next meeting. Michael Carson, the City Surveyor for the council, outlined that there had been a request by Exeter Homes Trust Ltd to purchase an area of Bull Meadow Park at the end of Temple Road to enable the redevelopment of the existing scheme of 12 almshouses dating from 1928 to provide 31 almshouses. The committee were told that the council would receive £25,000 for selling the land, plus £5,000 towards mitigation works, and only marginal revenue savings would be made on park maintenance. Cllr Percy Prowse said that due to the number of objections, the council should not even be considering selling the land. Cllr Keith Owen added: “We are being asked for our view on the principle of disposal and the starting point should be the principle to oppose the sale of green space. If we are to give up land that is valued by the community, I expect to see some benefit to them in return, but the number of objections shows that they don’t think they are getting any benefit, and a turning circle would encourage more people to drive their cars up the narrow road. The committee recommended to the Executive, who will make the final decision that the land should not be disposed of to create an extension to the highway. When the plans was announced last year, local residents called for alternative options to be considered and said they were dismayed as children would be losing their play space and they were deeply concerned as a road turning point will invite more traffic to the area and encourage drivers to speed up, thereby compromising the safety of their children. Alan Williamson, chairman of Exeter Homes Trust, had said: “We are working hard across the city to help local communities try and alleviate homelessness in Exeter. This project would provide 31 affordable charitable homes that are desperately needed for people unable to remain in their own home due to failing health or other difficult circumstances.